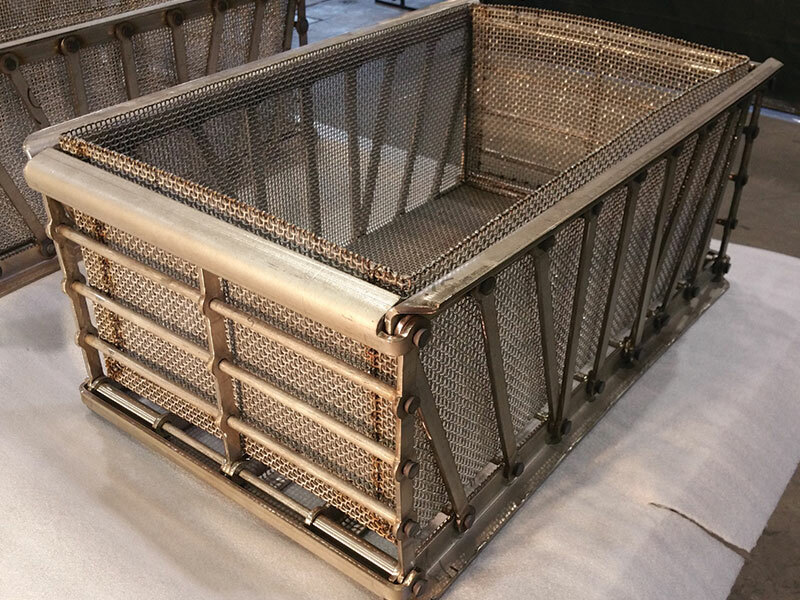 Introducing some HOT new ideas: The patent pending AMECO USA line of Weldless Heat Treating Baskets & Fixtures. 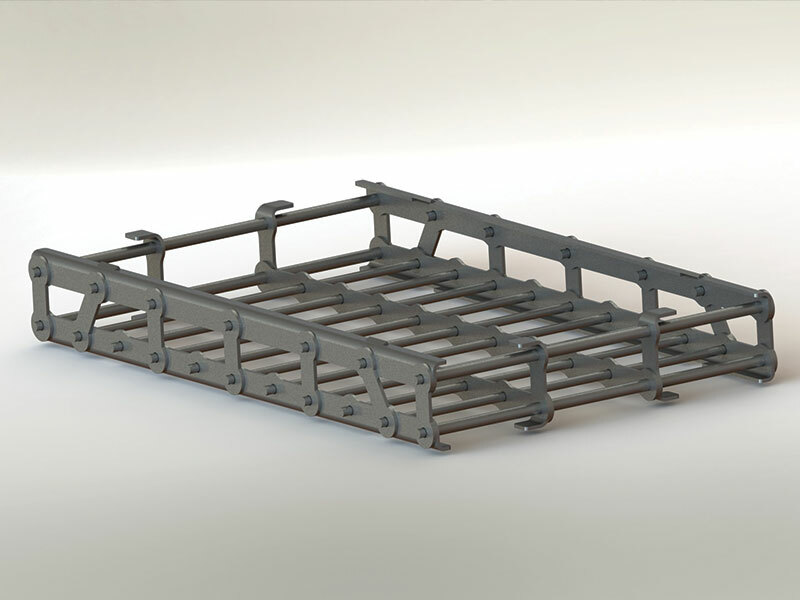 Articulated Design: Reduces vulnerable, crack-prone, restrained stress riser points, distortion and downtime. Flexible, Modular Construction: Allows for customization to minimize distortion and downtime. EZ Maintenance for Extended Life: Replace worn or damaged parts without scrapping entire assembly. Optimize Service Life: Weldless design allows for various alloys within a single assembly to achieve the best ROI value for heat treaters. Replaceable SCREENS and INSERTS: Available for small parts processing. 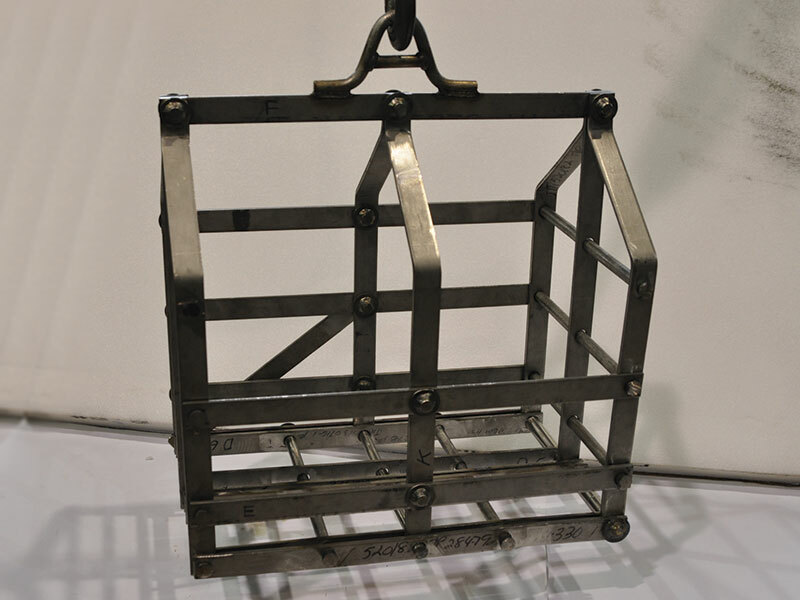 Custom Features: Freedom from molded, cast or other fixed designs. Infinite Variations Available: In size, shape and strength (load bearing) levels. Stackable Configurations: Any configuration can be designed for stacking to maximize process throughput. Flexibility In Materials of Construction: Weldless design allows for ANY ALLOY COMBINATION, specifically selected for your process, and to provide the best solution value for your application. No more limitations due to dissimilar metal alloy welding issues.